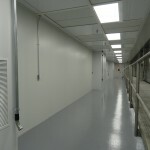 HCC was responsible for the design and construction of 36,000 sf of ISO Class 6 cleanroom at -40°C dew point. 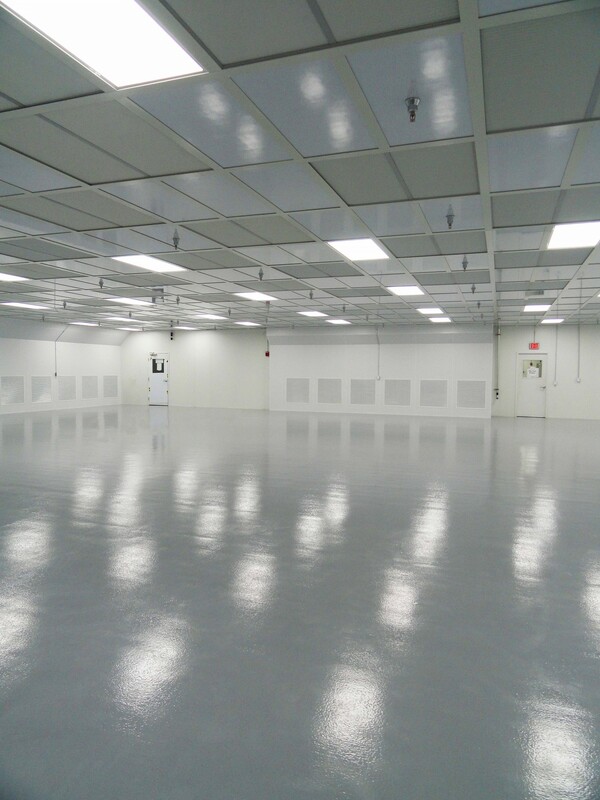 Also included 4,000 sf of ISO Class 5 at -40°C dew point. well as for the plenum cap, in order to maintain humidity criteria. 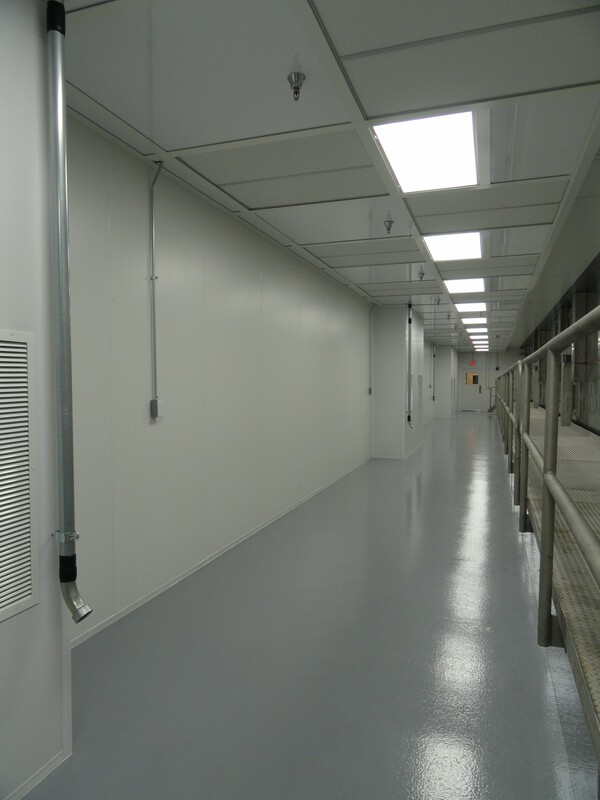 Installed conductive epoxy floors, Power T cleanroom ceiling grid, 4×4 Fan Filter units, Plascore honeycomb ceiling tiles, and T-5 2×4 light fixtures. 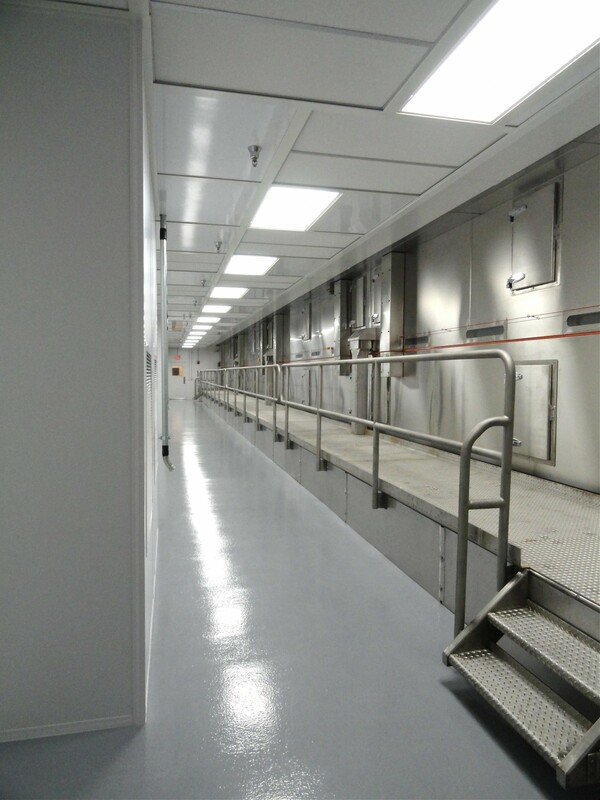 HCC was responsible for the selection and installation of desiccant dehumidifiers, makeup air units, sensible cooling coils in returns, HVAC piping, duct work, controls and electrical. Installed particle counters for continuous monitoring, separate house vac system for each room, as well as a fan commander system for the fan filter units. 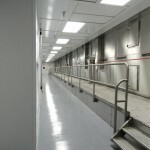 All HVAC equipment sits on a structural steel mezzanine above the cleanroom, which also supports the plenum and ceiling system.